Filled with plenty of interactive features which make it look more of a console video game rather than a slot. I think it should appeal to the original Cleopatra slot fans, but still very different and exciting. Cleopatra Plus is IGT’s 2016 release which features great action inside the five reels and 40 paylines. Cleopatra Plus is filled with hidden inside-features which you will adore, that is for sure. One such is definitely the Level Up Plus feature which IGT tend to implement in their games in order to help players progress as they play more and more. IGT Egypt-theme game features all of the recognizable symbols which make the game another great tribute to the ancient culture following IGT’s highly successful original Cleopatra release. 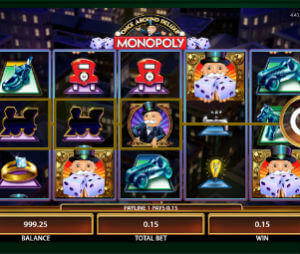 (Here you can find also other Free IGT slots to play for fun). Before you go on and spin the reels you will be prompted to select your lucky Egyptian symbol which guards you along the way. The game rewards for lining up a winning combination of at least three matching symbols from left to right. Landing a Wild within a winning combination in the main game will double the win amount. There is a great spin though as Wilds can appear in stacks of 2, 3, 6 or even 10 symbols with their size being randomly determined on each spin. Cleopatra Plus slot RTP varies between 92.89% and 96.50%, which is pretty standard for IGT online games. The only exception here is Texas Tea slot that pays 97.35%, which is superb! First and foremost, IGT’s Cleopatra Plus offers player to enjoy the Level Up Pro feature which will increase the payback as you move up in the game and across the Bonus Map. In order to progress players need to accumulate a number of followers which are rewarded whenever the Bonus Symbol Scatter appears on the reels. Higher levels of the game will reveal higher bonuses which include multipliers, stacked Egyptian deities and plenty of other twists. Before you can get to those you need to unlock the initial Bonus Feature called Cleopatra Free Spins, which get active once you land at least three Bonus Symbols Scatters. There are three types of Bonus symbols which all reward different number of followers to be placed within the Bonus Map. Placing the followers across Alexandria, the Nile River Valley and the Pyramids of Giza will determine the number of free spins going up to 30, a multiplier going up to 5x the stake, a cash prize of up to 30x the bet stake, last free spins multiplier which can go up to incredible 50x and a number of Super Spins you can claim up to ten of. Classic Cleoptra took the 3rd spot on our list of Best Free Spins Slots, but we might need to consider adding this one to the list as well. Cleopatra Plus is not your usual slot game. In addition to being feature-rich and highly amusing taking you on an epic journey across the Egyptian civilization, this game from IGT comes with a memory, which means you can come back to continue from where you started last time. Just like any great console or PC video game, which is fantastic.